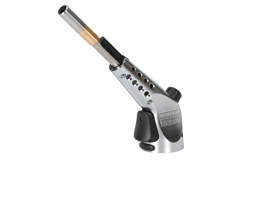 The Metaljet is a heavy duty torch with Automatic Piezo ignition. Trigger function helps prevent gas wastage. The system is compatible with interchangeable burners and includes anti-flare technology which enables the torch to operate in 360 degrees. Designed for use with Ultramapp but also suitable for use with Propane.